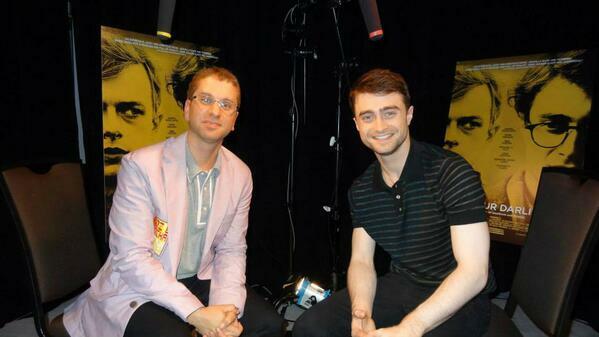 A few press junket interviews appeared online in which Daniel discusses his role as Allen Ginsberg in Kill Your Darlings. One of them is an interview with The Roz & Mocha Show (listen here) and they announced that the ’50 Shades’ Casting News is a joke started by them. During the interview, he started a rumour that the world is SHOCKED that Daniel wasn’t cast as Christian Grey in the 50 Shades film! The news has since gone viral world wide, and has become THE story EVERYONE is talking about! View another press junket interview from the Toronto International Film Festival (TIFF) here: CBC news. Update: 14th September 2013. A video from CityNews.ca + Daniel signed Monster DNA headphones for charity. Update: 17th September 2013. Cineplex videos. Update: 18th September 2013. Kiss 92.5's (Roz & Mocha Show) interview. Update: 25th September 2013. Tribute.ca interview. Update: 9th October 2013. CBC.ca interview added. Update: 7th November 2013. Canada AM. Update: 21st March 2014. Want to win the headphones Daniel signed? Tribute.ca's contest closes on 1st April 2014.